On this download, you'll see a variety of clever and magical ways to use silk handkerchiefs. Henry Evans begins with the very visual penetration of a silk handkerchief into a transparent bag that was securely tied around his wrist while Jeff Sheridan likewise performs an equally visual penetration as one silk is visibly is pulled through another. Karrell Fox shows off an eye-popping - but very easy - cut and restored silk while Petrick and Mia have some touches on the classic Coin Through Silk effect. 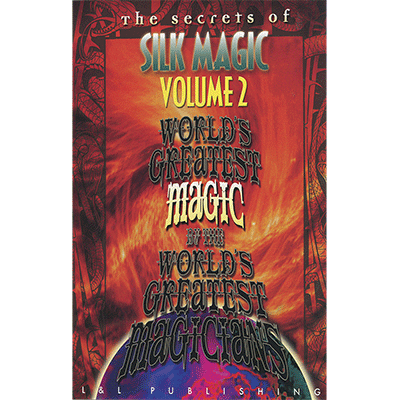 Steve Dacri offers an extremely practical and commercial version of the Silk to Egg while Dai Vernon explains the history of the classic Color Changing Silk and then offers timeless wisdom and advice as only the Professor can. Paul Potassy performs and teaches his legendary version of the Sympathetic Silks while Henry Evans returns with an astounding vanish and reappearance of a silk from a clear drinking glass. Finally, Bob Read performs and teaches an absolutely ungimmicked anytime, anywhere miracle - that of pulling a silk straight through the handle of a mug.